Shakespeare’s play, Timon of Athens, tells the story of Timon, an extravagant Athenian nobleman spending his money wastefully, until his creditors show up and demand payment to cover his debts. Timon sends his servants out for financial help, a bailout, so he can continue his lavish lifestyle. English classes can debate if Timon was a symbol of Greece’s extravagance, but we can say that today, Greece’s staggering debt and and its need for financial rescue is an apparent opportunity for travelers. Further, unthinkable a few months ago, the collapse of the eurozone or countries actually ditching the euro are very real possibilities, leaving the future of all European travel very muddled. Mr. Nicolas Kanellopoulos, President of the Greek National Tourism Organization says prices are lower for everything from hotel rooms and villa rentals to yacht charters and cruises to restaurants and attractions. ?And his colleague, Alexander Kontogouris, of the Greek National Tourism Office in New York agrees, adding that prices are going down daily, and that the country is trying very hard to attract visitors, especially to the iconic islands of Mykonos, Crete and Rhodes. Greece never especially reached out to travelers, nor did Greeks necessarily go out of their way to cater to tourists. Now, short of selling the Acropolis or Parthenon to maybe Donald Trump, the country is doing all that it can to attract people and offer more value for the dollar. The Greek crisis played a big role in the battered Euro, making all of Europe that much cheaper, and now throwing the viability of the Euro in serious doubt. ?Hotels have woken up to the need to add travel value to the Greek experience, so a complimentary night or meal or free transfers is common; before the crisis it was almost unheard of. Leftheris Papageorgiou of Hellenic Adventures believes prices will fall further. He expects to see more and more of the value-added options. ?Germany, which accounts for 10-15% of Greece’s visitors, is not happy with having to bail the country out, and some U.S. and international travel agents are reporting an increase in customer anxiety about getting caught up in riots and unrest. Greece’s tourism business is a major income source and employs 25% of Greek workers, so any instability will be short-lived, hopefully, making this is a good time to drive a travel bargain.? 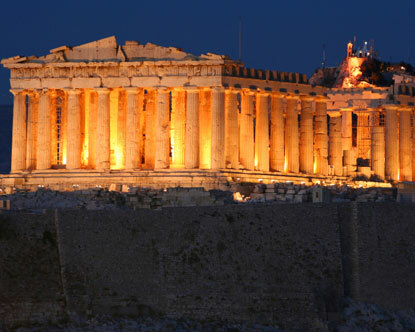 Giving a hotel room away or reducing the cost of a yacht charter is better than selling the Acropolis. But if the Euro is abandoned, all bets are off. Prev Article Prev Article Inn Review – Rabbit Hill Inn, Vermont – A Great Non-Family Family Inn!